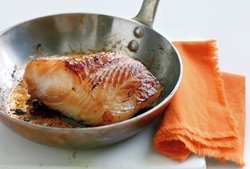 Sixth Street CSA offers wild Alaskan fish year round through Prime Select Seafoods of Cordova, Alaska. Alaska is home to some of the world's best managed and most sustainable fisheries. Prime Select is committed to conserving the species they catch by adhering to strict quotas for the pristine waters of the Copper River Delta, Prince William Sound, and the Gulf of Alaska. We offer several varieties of fish including sockeye salmon, coho salmon, king salmon, halibut, pacific cod, and rockfish. For more information on sustainable fishing, check out Salmon Nation, Monterey Bay Aquarium Seafood Watch, and WildPacificSalmon.com. 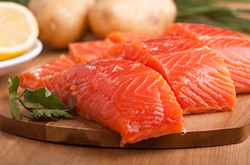 We currently offer three varieties of salmon: sockeye, king, and coho, all from the Copper River. Sockeye salmon can be as long as 33 inches and weight from four to fourteen pounds. Coho salmon grow an average of 28 inches and weigh seven to eleven pounds, but can sometimes weigh up to 36 pounds. King salmon grow an average of 33 to 36 inches and weigh between ten and 50 pounds, but can sometimes weight up to 130 pounds. 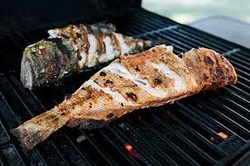 Rockfish are caught around March in the Prince William Sound and the Gulf of Alaska. They weigh an average of five to ten pounds and can grow up to 36 inches long. Pacific cod is caught in the Prince William Sound and the Gulf of Alaska around March. Pacific cod can be as long as 20 inches and weigh up to 33 pounds. 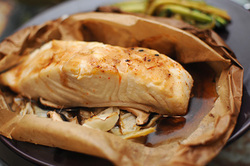 Cod meat is moist and flaky when cooked, and has a mild flavor and low fat content.